Viewing topic "Enigma Sound Bank Motif XS"
“Studio-Ron”, who also has several other aliases, is someone who has a tendency to pass off work of others (including from commercial sound libraries) as his own. For that reason, we’re not particularly “fond” of the guy. and is Flash Expansion required and if so what does that entail? The XS doesn’t use flash modules. Loading samples in an XS requires DIMMs. See pages 295-296 of the XS Owner’s Manual. 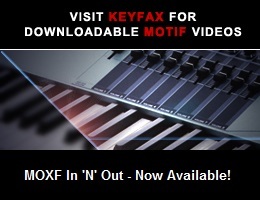 I take it then that such a sound library does not exist for the Motif XS? Is there to your knowledge any other Logic 9 compatible plugin available for purchase that has the Enigma Sound Library ? I’m not aware of any legitimate source(s).